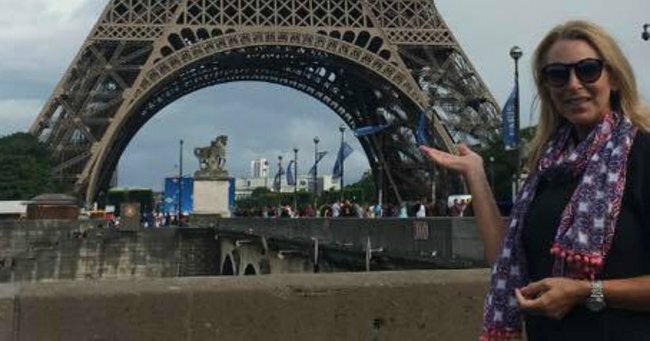 An Aussie mum has emerged as a hero in the Munich attack. An Australian mum has emerged as an unassuming good samaritan following the Munich attacks, running to the aid of a 22-year-old tourist amid the panic and confusion that enveloped the city after gunshots sent the city into lockdown. Donna Bravo, from Geelong, was ready to head out for the night wearing a black dress when gunfire sounded outside a nearby shopping mall, killing nine people and wounding 21. FOR THE LATEST UPDATES ON THE MUNICH ATTACK, CLICK HERE. In the commotion that ensued, a young American tourist jumped out of her hostel window, acting on a rumour that the gunman may have entered the hostel she was staying. Seeing the young girl jump, a barefoot Bravo ran to her aid, braving the drama and frenzy from outside, holding her hand and keeping her company as she nursed serious spinal injuries from the fall. New York Times correspondant Rukmini Callimachi tweeted about Bravo’s story, meeting the Geelong mum the waiting room of a Munich hospital where she had travelled with the young tourist, as she waited to hear news of the young tourist’s progress. “So she grabbed all she could find – flip flops – and ran outside to comfort the girl who had injured her spine in the fall, holding her hand,” Callimachi tweeted. Bravo also managed to contact the young woman’s parents overseas, waiting until they arrive so the woman has a face to see when she wakes up. “The injured girl is also a tourist from overseas and Donna called her parents who are rushing to get here. 20. When I asked her why, she answered simply: "I&apos;m a mum too." Talking to the Sydney Morning Herald, Bravo’s daughter Sharni Bravo told the paper she was not surprised by her mother’s actions. According to Callimachi, when she sat in the waiting room and asked Bravo why she would risk everything: her life, her energy, her time, on a young woman she did not know, Bravo’s rational was simple. Watch: What we know about the Munich attacks.